Some of you may have previously read this article published back in March 2014. So you ask why am I reposting this article. Read and you tell me because your attributes and skills are still relevant in your present job and you have grown and you do still have so much to offer. Assess and review how you have grown and developed, where might there be a lateral placement for you in your firm or company? Who better knows you more than you yourself? Whether you see what you are doing as a career or something else, I want you happy and healthy! Bring out the sycamore in you! The American sycamore tree is one of the most hearty trees you’ll find east of the Mississippi. This sturdy specimen is not showy. It simply keeps reaching into the air, slowing and steadily. 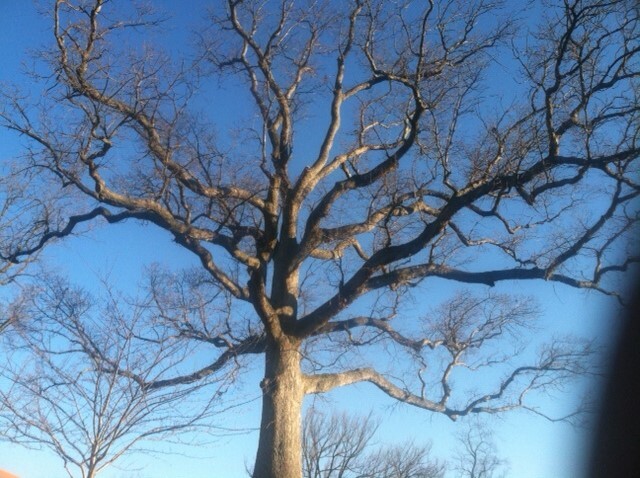 In fact, it’s not unusual for a sycamore tree to live to be more than 100 years old. These trees make good climbing trees as they usually have a lot of low-hanging horizontal limbs. Like the sturdy sycamore, advancing in the workplace can often be a slow task, one that’s not necessarily flamboyant or showy. As with climbing a sycamore, sometimes you have to move laterally to be able to get to where you can climb a little higher in the corporate tree. Lateral moves in the workplace–those moves where you take a similar job in a different part of the company–have gotten a bad reputation over the last decade. The often-shared opinion is that such moves are a sign of a stagnant career. Nothing could be further from the truth. There are actually many things to be gained by accepting a lateral move within your company. •Greater potential for future advancement. Just like in our sycamore example, there may be more opportunity to move upward if you first just move a little to the side. Your new department may offer more future opportunities than your current one. •Greater job security. By mastering two different positions and creating two departments worth of contacts, you’ll be more visible and valuable to your organization. •Increased marketability. If, after a period of time, you find that the new move isn’t working, you’ll be more interesting to other companies by having worked in two areas rather than just one. •Renewed interest. If you’ve grown slightly bored with your job (and, face it, we call get bored at work from time to time), a new department and new faces can help to breathe new life and new excitement into your work day. If you sat and watched our sycamore tree for 24 hours (or a week) straight, you’d conclude that the tree wasn’t growing. After all, you didn’t see it grow. However, if you returned after a year or two, it would be obvious that the sycamore had grown taller and/or wider. Careers work this way, too. Sometimes, we’re just a little too close to our own lives to be able to realize the growth that’s actually taking place. What’s the bottom line? Of course, not every proposed move in the workplace will be to your benefit. However, it’s wise to take a step back and evaluate the potential good a lateral move come do for your career before you dismiss it outright. Like with our sycamore, slow and steady growth will keep you a vital part of the environment long after those fast-growing upstarts have withered away. Seek advisement with a career coach who will help and support you strategically and extensively assessing your entire career and especially where you now desire to go. There’s no reason for you to jump or climb unnecessarily expending energy you may need later as you decide on your next move. A lateral move may allow you just enough time to get your ducks in a row. Curt Canada advises and coaches clients in Washington DC. You may read more about his work and services at http://www.curtcanada.com Curt is a Board Certified Coach, a Member of the International Coach Federation, SHRM, and the Christian Coaches Network. He has earned postgraduate training from the Institute For Life Coach Training in the areas of career, leadership ,and executive coaching , a Masters in Social Work from the University of Iowa,and a Masters in Teacher Education from The American University.